In Business news: the Woodworking Network on lumber production trends; the low-down on hardwood lumber by Merchant Magazine; and a Wall Street Journal expose on plywood tariff-dodges due to the US/China trade battle. Elsewhere: fire risk labels proposed for wood joists in Ontario; part 2 of a series on wildfires in Oregon; and common ground among fire scientists in the US West. Finally; the first woman receives Society of American Foresters award for outstanding forestry education. Worldwide trade of lumber inched up again in early 2018, hinting that this may be another record year, a new report from Wood Resources International indicates. Six of the ten largest lumber-exporting countries in the world have increased their shipments in 2018, with exports from Russia, Germany, Ukraine, and Austria increasing the most year-over-year. Canada has seen the biggest decline year-over-year, with shipments in 2018 on pace to be the lowest in five years. Canadian shipments to China and the U.S. during the first half of the year were down 19 percent and 6 percent respectively over 2017. During the second half of 2017, U.S. lumber prices have been all over the places, and that has continued up to the present. These fluctuations are the result of the changes in the strength of the U.S. housing market, says the report. LEESBURG, Va. – The Composite Panel Association has elected members for its 2019 board. …Jake Elston of Arauco North America will serve as chairman, with Jim Buffington of Roseburg to serve as vice chairman and Pat Aldred of GP Wood Products as secretary/treasurer. Louis Brassard of Tafisa Canada will complete his term as CPA chairman and serve as immediate past chairman in 2019. The CPA Board also re-elected Mike Blosser of Louisiana-Pacific to continue his term as an at-large member of the Executive Committee. Dirk Koltze of Siemplekamp, Randy Tallman of The Stow Co. and Norm Hoeppner of Sauder Woodworking were elected as Associate Members. Additionally, Elliott Savage of Seemac and Rick Bryson of Ashley Furniture were re-elected to continue their terms on the board. A professional forester and long-time Tolko employee is running for Williams Lake city council. “My decision to run was thought-filled,” Tom Hoffman told the Tribune. “I want to contribute back to the community and I didn’t take the decision lightly.” Hoffman is currently the manager of external and stakeholder relations for Tolko Industries Ltd. …Presently he is chair of Community Futures Cariboo Chilcotin, vice-chair of Northern Development Initiative Trust and previously was a board member for the Association of BC Forest Professionals. At a time when the US-China trade war is taking centre stage in the global markets, most companies are still unsure of how it will affect their businesses in the future. Johor-based integrated home furniture maker Wegmans Holdings Bhd, for one, is optimistic that it will benefit from the trade tension. …With the higher tariff, it essentially means that furniture made in China will be about 10% to 25% more expensive than ours,” Law tells The Edge in an interview. Wegmans is an export-based home furniture manufacturer headquartered in Muar, dubbed the Furniture City of Malaysia. 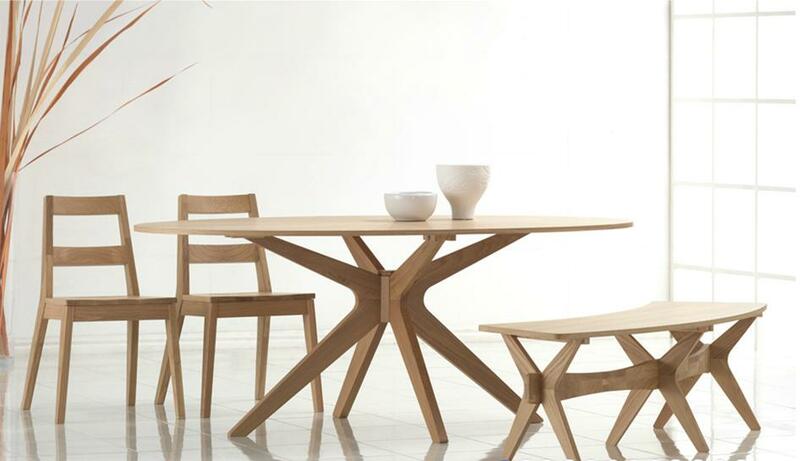 …Established in 1999, the company’s core business activities include the design, manufacture and sale of wood-based furniture products for the dining room, living room and bedroom. The building and construction industry is booming—and has been growing steadily since 2011. Much of this growth can be attributed to the residential sector, led primarily by single-family construction, which is projected to see a 9% growth, while multi-family construction, which hit its peak in 2017, is expected to decrease slightly. With the growth in construction comes an increase in demand for building and design materials, as well as a larger focus on higher value products for the home. From remodels to cabinets to flooring and more, lumber, like many other construction products, is in high demand. But, while that demand is driven by industry growth, other factors, like market uncertainties and trucking restrictions, are likely to take a toll. Here’s the low-down on lumber. 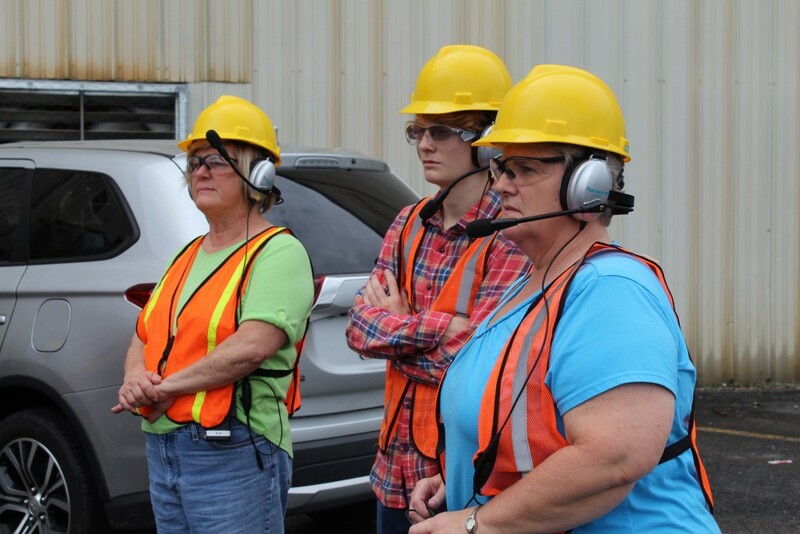 A new plant near Entwistle is set up to not only diversify the local economy but also provide a greener source of energy. Pinnacle Renewable Energy’s first Alberta pellet plant was officially opened on Sept. 25 with a ribbon cutting ceremony and tours of the new facility that produces wood pellets as a more environmentally friendly form of fuel. The pellets are made from compressed wood waste, such as sawdust, shavings, bark, treetops, branches and non-economical trees that have been land-filled, stockpiled or burned. The high-heat, low-ash pellets are burned for home, institutional or industrial heating, or can be used for animal bedding or turned into fuel for electricity generation. The pellets are then shipped by rail to the Pinnacle company private port in Prince Rupert, B.C. Fire safety can be impacted if a building is made from lightweight, prefabricated material, and legislation under debate would mandate placards for certain construction types in Ontario. “Truss and lightweight construction, when exposed to fire, can pose serious risks to responding firefighters,” Randy Pettapiece, an Progressive Conservative backbench member of provincial parliament. …If passed into law, Bill 33 would require emblems on wood-framed buildings in which roofs or floor supporting systems are made of lightweight, prefabricated materials. “What about insurance rates? According to the Insurance Bureau of Canada, they would be unaffected,” Pettapiece said. …“While traditional floor joists burn in about 15 minutes, pre-engineered joists can take only about six minutes to burn,” Pettapiece said Thursday. At the recent Interpal meeting, one issue rang out more than any other. No, it wasn’t lumber. It was labor. Regardless of the location or the type of business, almost everyone was having problems finding and retaining good production employees. This labor crunch has spurred significant technology research and investment over the past few years. …The following are insights from machinery experts who share their thoughts on advanced automation, including robotics. Some of these comments come from interviews conducted by Pallet Enterprise. Others are taken from a panel at the National Wooden Pallet & Container Association’s Annual Leadership Conference held earlier this year. More than really answering your questions, this article is designed to help you know what questions to ask so that you can make the right decisions. There is no one right solution here. However, the options are improving daily. OTTAWA – Canada is protecting its natural heritage, wildlife, and biodiversity by engaging the next generation of environmental stewards across the country in species at risk. This initiative will inspire and enable Canadian children to take an active role in the protection of wildlife—including species at risk—and their habitat. Today, the Minister of Environment and Climate Change, Catherine McKenna, announced that the Government of Canada will invest $2.25 million over three years in the Engaging Canadian Kids in Wildlife Conservation funding program. This investment will support the Toronto and Region Conservation Authority and the Earth Rangers Foundation. The two organizations will educate kids across the country on protecting Canada’s nature from the threats to our biodiversity and wildlife, like climate change. Ontario hunters concerned about a disease threatening the province’s deer population say they’re pleased to hear the government is taking steps to halt its spread. Chronic wasting disease (CWD) is a progressive, fatal disease of the nervous system of deer, elk, moose and caribou. One recent case was confirmed in Quebec, just 15 kilometres from the Ontario border, leading to a massive deer cull in that province. So far, however, it hasn’t been found in wild Ontario deer. 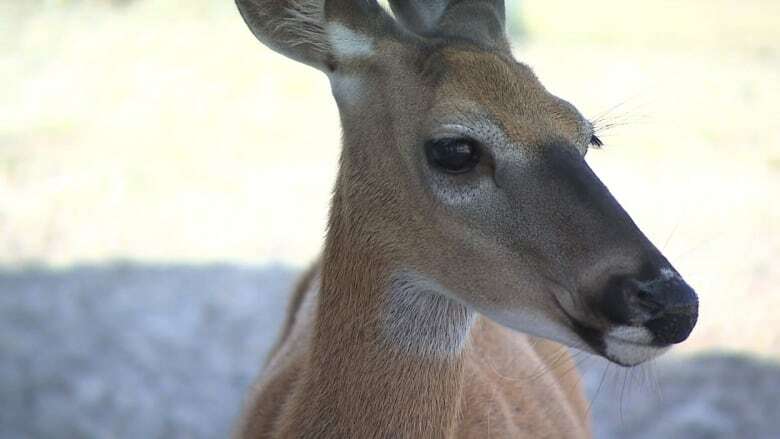 …To keep it that way, the province will be adding more surveillance teams — 14 more staff working in teams of two — to help collect deer samples for testing when the hunting season starts in November. …”We need to take the necessary steps in order to prevent its spread in Ontario or to identify it as soon as possible,” said Natural Resources and Forestry Minister Jeff Yurek. The additional monitoring will cost about $50,000, Yurek said. The Northern Arizona Forest Fund took the top honor at the Arizona Forward Environmental Excellence Awards presented by Salt River Project. Judges also named the Arizona Pure Water Brew Challenge as winner of the Governor’s Award for Arizona’s Future, and two new categories – Sustainability Champion and Waste Reduction – made their debuts. Northern Arizona national forests provide the majority of water to the Salt and Verde rivers and eventually into the homes of millions of Phoenix-area residents. …A press release stated, “The Northern Arizona Forest Fund was created to address declining forest health conditions. To date, the Northern Arizona Forest Fund has completed over 10,000 acres of projects, reducing severe fire risk by about 25 percent.” The Arizona Pure Water Brew Challenge overturned a long-standing legal prohibition against potable water reuse. It also used craft beer to educate the public about the benefits of the “toilet to tap” revolution, the release stated. The Mail Tribune’s front page Sept. 30 asked, “What is being done” for what was the worst air in the nation this summer in our valley. The repeated solution is more logging, thinning, prescribed burning and salvage logging. And then Sen. Ron Wyden asked for funding for residents to seek refuge from the smoke, saying “… we’re going to have clean air refugees and that’s just going to be a public health crisis.” However, prescribed burning is somehow still on the table. If prescribed burning becomes a method for “forest management,” the new normal will be smoke nine months out of the year. …As solutions are being sought to end the smoke, the oxymoron of prescribed burning is accepted as routine practice. This is Part 2 of a five-day series on devastating wildfires and their effects on Southern Oregon. See Part 1 here. When a lightning storm started at least 145 fires on July 15 in Southern Oregon, firefighters weren’t just battling the blazes — they were trying to strike a balance between sharing critical resources and competing for the ground forces, air tankers and helicopters they all needed. During the first 48 hours after the lightning storm, firefighters snuffed out most of the fires during initial attack operations. But with so many fire starts on one day, some blazes escaped initial attack efforts and grew into large-scale wildfires that filled the summer sky with smoke. …The Oregon Department of Forestry’s goal is to suppress 98 percent of fires at 10 acres or less. That not only protects lives, homes and trees, it reduces firefighting costs. Is logging the solution to Utah’s wildfire problem? A group of people knowledgeable about wildland fire have produced a 52-page document that attempts to assemble and summarize areas of agreement and disagreement regarding the management of forested areas in the western United States. Calling themselves the Fire Research Consensus Working Group, they looked for areas of common ground to provide insights for scientists and land managers with respect to recent controversies over the role of low-, moderate-, and high-severity fires. …“Respondents disagreed about whether large, high-severity fires have increased to a significant and measurable degree in all forest types in comparison to historical fire regimes (i.e., prior to modern fire suppression). …“Opinions also vary over the consequences of any increases in fire severity. For most dry forests… there is broad agreement that under current and projected climate, post-fire forest resilience is less than in the past. BOISE, Idaho — The U.S. Forest Service advanced changes to sage grouse protections in five Western states that environmental groups say are part of the Trump administration’s efforts favoring industry but that push the imperiled bird closer to extinction. The agency on Friday released draft plans altering rules, put in place in 2015 by the Obama administration, generally viewed as keeping the bird from being listed for federal protections under the Endangered Species Act. The new plans cover 8,000 square miles (21,000 square kilometers) of greater sage grouse habitat in Idaho, Colorado, Nevada, Wyoming and Utah. John Shivik, the Forest Service’s national greater sage grouse coordinator, said the plans balance protections for sage grouse while improving efficiency and aligning federal and state efforts. He said the goal is to protect habitat while also meeting the agency’s mandate to make lands available for recreation, mining and livestock grazing. WABASH, IND. 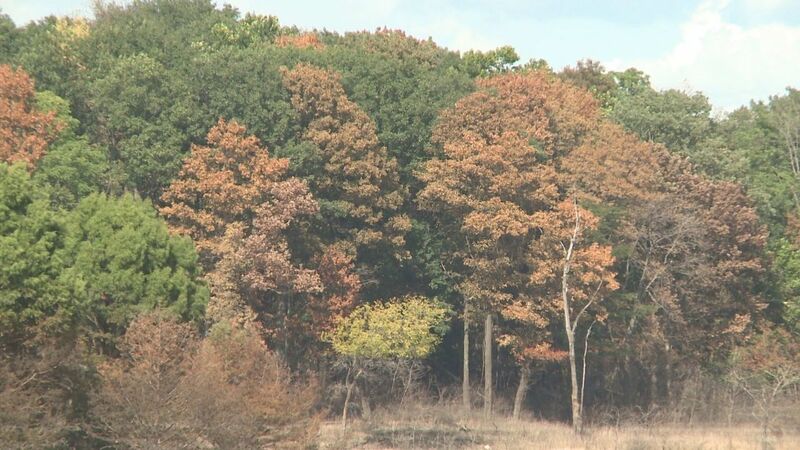 – Activists opposed to the planned logging of a state forest in northern Indiana say it would harm one of the region’s largest remaining tracts of woodlands and allow invasive species to take hold. State officials say the logging of selected trees on about 120 acres (50 hectares) in the Salamonie River State Forest will clear dead and dying pines planted about 90 years ago for flood control, and allow old hardwoods more room to regenerate. The forest lies about 60 miles (100 kilometers) north of Indianapolis. The state Division of Forestry’s logging plans for parts of Huntington and Wabash counties was announced in 2014. Carolyn Copenheaver, associate professor of forest ecology in Virginia Tech’s College of Natural Resources and Environment, has been honored with the 2018 Carl Alwin Schenck Award from the Society of American Foresters. Copenheaver is the first woman to receive this honor in its 30-year history. The award is given annually to a faculty member who demonstrates exceptional devotion to the instruction of forestry and to the development of teaching methods that impart knowledge of forestry through dynamic communication skills. 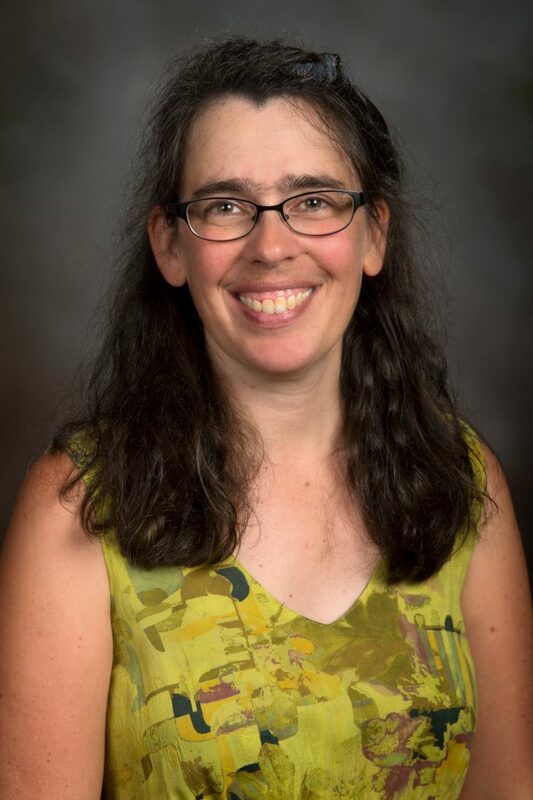 …Copenheaver, who has taught at Virginia Tech for 18 years, has an extensive record of publications in leading forestry and forestry pedagogy journals, including 23 papers that she has published with 70 graduate students. WABASH, Ind. — Activists opposed to the planned logging of a state forest in northern Indiana say it would harm one of the region’s largest remaining tracts of woodlands and allow invasive species to take hold. State officials say the logging of selected trees on about 120 acres (50 hectares) in the Salamonie River State Forest will clear dead and dying pines planted about 90 years ago for flood control, and allow old hardwoods more room to regenerate. The forest lies about 60 miles (100 kilometers) north of Indianapolis. The state Division of Forestry’s logging plans for parts of Huntington and Wabash counties was announced in 2014. Aaron Goulet, a founding member of the conservation group Friends of Salamonie River State Forest, told The Journal Gazette the logging would clear some of northern Indiana’s remaining natural forest land and mature hardwood stands. SINTRA-CASCAIS, Portugal — Over 700 firefighters battled a wildfire Sunday in a national park west of Lisbon that forced Portuguese authorities to evacuate about 350 people. 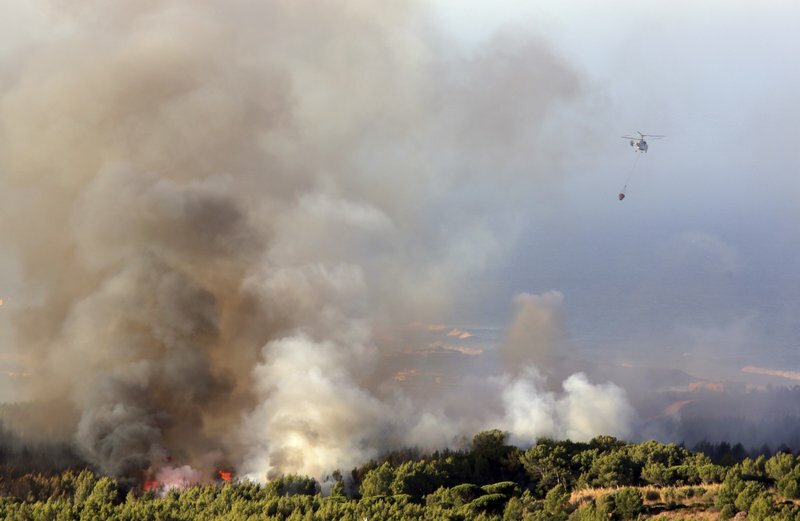 The fire that broke out overnight in the Sintra-Cascais Natural Park that covers hilly terrain near the Atlantic coast injured 17 firefighters and one civilian, Andre Fernandes of Portugal’s civil protection agency said Sunday. Fernandes added that 300 people were evacuated from a campsite while another 47 were removed from their homes in the wooded area as a precaution. …Fernandes said firefighters were combating the fire on two fronts, and their efforts were being helped by a decrease in the winds that had previously fanned the flames. …Last year they also killed 106 people in what was by far the country’s deadliest fire season on record. With more depressing results that suggest climate change threatens half of Canada’s songbirds with significant habitat loss, you might expect one of the new study’s authors to be downcast. But Jeff Wells isn’t. “We need to get out of that pessimistic, completely gloomy view of all the bad things that are happening and start thinking about solutions,” said Wells, chief scientist and lead author of the study released Monday by the Boreal Songbird Initiative. “There really are some positive solutions to some of this.” First, the bad news. 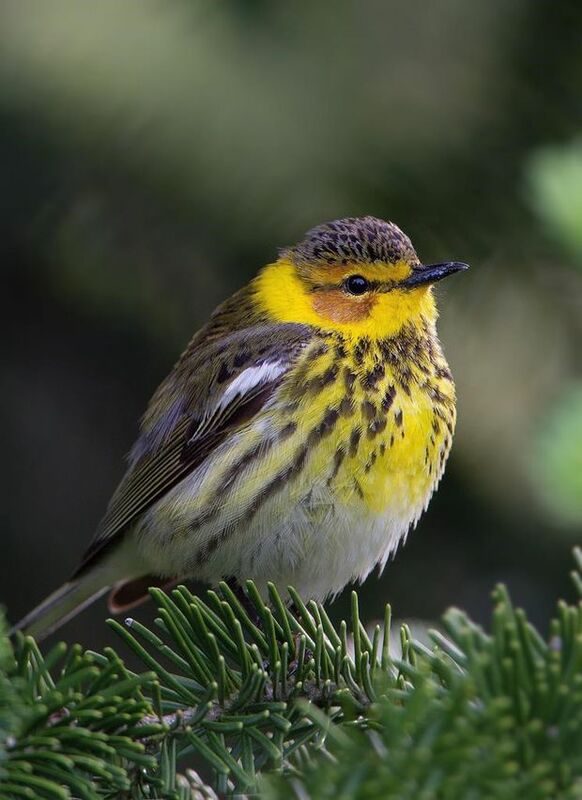 The report combines extensive surveys of bird numbers with sophisticated models showing the probable impact of climate change on specific areas of the boreal forest, the vast ribbon of green that stretches across the northern reaches of almost every province. …The refugia are the source of Wells’s optimism. Most, he said, remain relatively untouched and can still be protected. OTTAWA — The world is going to blow past its most stringent climate goal in less than a quarter century. …In an interview with The Canadian Press recently, Environment Minister Catherine McKenna said she knew the IPCC report would say “we’re not on track to be hitting 1.5 degrees.” …But Canada has no immediate plans to increase its own ambition. Instead, the focus is on implementing the current plans, which include a national price on carbon, eliminating coal-fired power plants, making homes and businesses more energy-efficient, and investing in clean technologies and renewable energy. …The takeaway for Canadians in the report should be the need to not just accelerate emissions cuts, but also to accelerate efforts to protect their homes and businesses from the floods, forest fires and storms that climate change is already bringing with more frequency and more force than before, he said. The world stands on the brink of failure when it comes to holding global warming to moderate levels, and nations will need to take “unprecedented” actions to cut their carbon emissions over the next decade, according to a landmark report by the top scientific body studying climate change. …At the same time, however, the report is being received with hope in some quarters because it affirms that 1.5 degrees Celsius is still possible — if emissions stopped today… or find some way to remove as much carbon dioxide from the air as humans put there. …The radical transformation also would mean that… large swaths of land currently used to produce food would instead have to be converted to growing trees that store carbon and crops designated for energy use. The latter would be used… to get power from trees or plants and then bury the resulting carbon dioxide emissions in the ground. Look out the window and you will probably see one of the most effective weapons in the fight against climate change – a tree. The problem is, mankind has been cutting down forests, especially in the tropics, at an alarming rate, mainly for agriculture. The lure of profits from commodities such as beef, soya, palm oil as well as timber plus growing populations mean land clearing often takes priority over conservation and worries about climate change. …Yet, big forest countries such as Indonesia, Brazil and the Democratic Republic of Congo can limit these risks by being major players in using nature to fight climate change, by soaking up excess carbon dioxide. “The tropical forest countries should be the highest priority”… said Dr Deborah Lawrence, professor at the University of Virginia in the United States. The impacts and costs of 1.5 degrees Celsius of global warming will be far greater than expected, according to a comprehensive assessment by the Intergovernmental Panel on Climate Change (IPCC) released Sunday in Incheon, South Korea. The past decade has seen an astonishing run of record-breaking storms, forest fires, droughts, coral bleaching, heat waves, and floods around the world …But much of this will get substantially worse. …Forests could also play a much bigger role in cutting emissions, says Deborah Lawrence, a forest expert at the University of Virginia. …Reforestation and improving forest management together could remove CO2 from the atmosphere, said Lawrence, amounting to 18 percent of the reductions needed by 2030. …When the wood from mature forests is converted into furniture or buildings CO2 can be stored for the long term, she said. That’s one reason a 12-story building made of wood will be completed in Portland in 2019. Construction begins soon in eastern Oregon for the first commercial-scale “torrefaction” facility in the country. If you don’t know what that word means, you’re in good company. But the process itself isn’t all that exotic. “You’re actually very familiar with torrefaction,” said Wayne Lei, the chief technical officer for the company Oregon Torrefaction. “All coffee beans are torrefied, actually. That’s how it gets crispy.” A new $12-$15 million facility will roast and compress wood chips (woody biomass) into a “mocha-brown” pellet or briquette form that can replace coal in electric power plants. That process under high heat and low oxygen is called torrefaction. 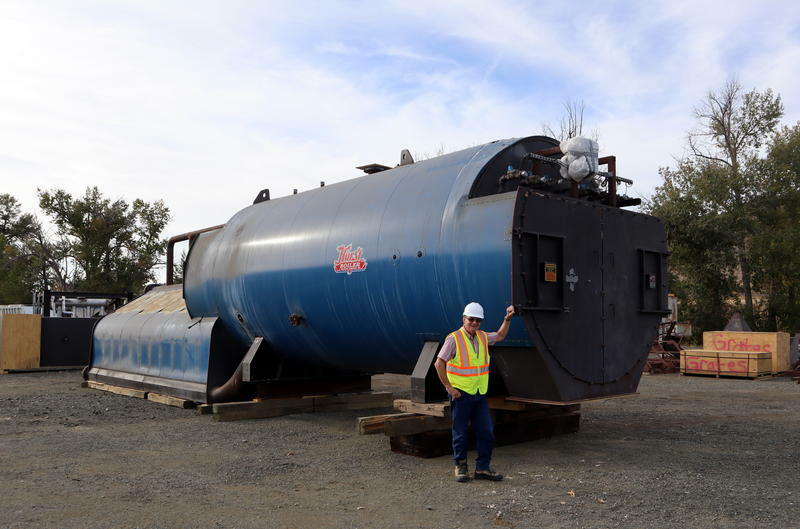 …”It will burn cleaner and have less pollution,” said John Rowell, biomass operations specialist at Malheur Lumber Company, where the torrefaction plant is slated to open later next year. OTTAWA – The Honourable Ralph Goodale, Minister of Public Safety and Emergency Preparedness, made the following statement today to mark Fire Prevention Week: “This spring and summer, as wildfires burned in British Columbia, we saw firsthand the devastating impacts fire can have on our communities. All Canadians have an important role to play in keeping their communities and families safe. From October 7 – 13, we mark Fire Prevention Week in Canada. This year’s theme is “Look. Listen. Learn. Be aware – fire can happen anywhere.” I encourage Canadians to use this theme to familiarize themselves with three simple, but essential, steps to both prevent fires before they start and to learn how to escape safely and quickly in the event of one. The first step is to look for places where fires can start.